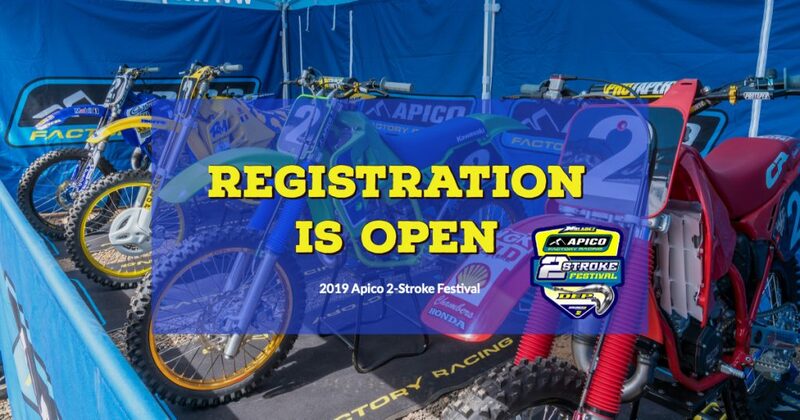 Apico 2-Stroke Festival – Old school family fun for the premix fan! Registration is open now by clicking HERE and will close on April 24th 2019. It will be open for day entries at the Marshfield opener. The Registration fee of £75 secures you a place at every round, and the cost is £95 per round for Registered riders. All riders must be ACU affiliated, you can obtain your license through us and transponders can be hired on the day.